There are many important benefits to being at home, but it is a well-kept secret how much fun and how pleasurable it is to be a stay-at-home mum. 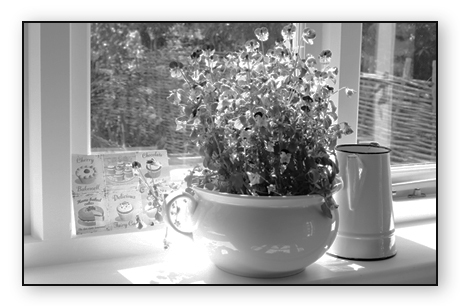 Recently, I was sitting at my kitchen table listening to the sounds of horse hooves clip-clopping, birds twittering and watching the soft light fluttering through the flowers on the window sill while a ticking clock emphasised the peace. It was then that I realised with a deep sense of gratitude that these are precious days and I have been given a gift – time to enjoy small pleasures and time to delight in my children. Stop being apologetic about your current role and revel in the privilege of spending so much time with your children and being involved in their development. Family breakdown, lack of time, absent parents, poverty, health issues, long-term under-investment and a ‘dog-eat-dog’ mentality have all resulted in the UK being accused of failing its children. It doesn’t bode well for our children, our families or our society. Children need to know they are important and need to be nurtured from birth. They need to know that they are loved and understood by adults. We cannot expect the state to love, protect and fulfil the needs of our children – it is not going to happen at play schemes. The best care for under-threes is one-to-one care and the best person is a parent for as much time as possible. Children want their parents to fulfil their emotional needs. By being committed to giving your child stability and actively involved in maturing him, he will learn to overcome obstacles. With love and security, children will build up resilience to life’s challenges and we will be able to address the persistent and growing ills in our society. We don’t live in an ideal world and single parents and in some families both parents need to work part- or full-time, but we can all resist a culture of childcare where most adults have a shorter working week than children in day nurseries. If you are a stay-at-home mother, you are able to be there for your child and you need to relax because you are fulfilling a crucial role.